A baby’s right to life does not change because it was born in an abortion clinic instead of a delivery room. Under current law, medical professionals in abortion clinics can stand idly by and watch a newborn child die. Their refusal to administer care is equivalent to infanticide. On Monday, the Senate will vote on the Born-Alive Abortion Survivors Protection Act, which would require medical professionals to tend to the needs of newborn infants, even if they are born during a failed abortion procedure. This should not be a partisan issue, and the independent advocacy group Heritage Action for America is leading the effort to build bipartisan support for this bill in Congress. You can learn more about Heritage Action’s plan here. After the New York and Virginia bills, how should Heritage engage states to protect unborn children? Not attending to a newborn’s needs is murder by omission. We treat animals and their young better, in fact *they* are protected by law! I believe there are two concerns that need to be fully discussed and understood. #1. could this diminish our perception of the value of human life, thus creating throwaway lives? And what impact could that have on every day human relations? #2. what would be the impact on the birth mother knowing that she did give birth and she allowed her baby to die or worse be murdered in NY or Virginia? I’m sure it will have a lasting emotional toll and could adversely impact her future relationships. Did these pieces of legislation investigate the true impact of such procedures or just blindly push them through in the interest of a PC world where everyone’s a victim and no one is responsible for their own actions and lives? One thing that no one can escape…life is cause and effect! A beating heart equals life in a baby. Any interference is murder. Families are waiting to adopt babies. There is no rational or moral way to justify abortion. It seems that every day there is yet another issue that will adversely affect this country, our freedoms, our pocketbooks, our livelihood, indeed our very lives. I know that I sometimes feel overwhelmed by so much bad news and have no idea what I can do to make a difference. But, regardless of how of how grave some of these issues may be, there is none so serious as abortion. How can we solve any other problem this country faces if we do not first solve the problem of the indiscriminate murder of one million unborn human lives each year? You speak of New York and Virginia. New Mexico and Vermont are also considering legislation and in Illinois, I believe the lawmakers in Springfield are trying to outdo everyone. The Heritage Foundation does a great job of influencing decision makers particularly at a National level. You work hard for Conservative, Constitution loving American Citizens. You ask, should Heritage engage states to protect the unborn. The answer is unequivocally yes! However, in order to have any kind of chance to change the minds of Democrat majority legislative bodies it will take more than just the people of the Heritage Foundation. It will take a grassroots swell of people protesting, calling, writing to and most of all praying for lawmakers to scare them into voting against these insidious bills. In Illinois there are efforts in the works to fight against these bills but without many more people to engage their lawmakers, the cries of support from the other side will drown out the voices who protest. I receive regular requests from you for donations and wish I could contribute more to your cause. But what I cannot contribute in dollars, I can in time and effort. I am sure I’m not alone. What Heritage can do, in addition to throwing their support to this most important of issues is to engage your many financial contributors to not just contribute their treasure but also their time and talent to this effort. In Illinois we need people to call their legislators, write letters, join us on March 20 in Springfield to protest HB 2467 and 2495 (and their corresponding Senate Bills) and above all pray. Please reach out to the people of Illinois, Vermont, NM, and any other state that attempts to introduce bills to enhance the evil of abortion and implore them to actively fight these vile bills. I guarantee you, if we do not do something soon, the powers of heaven will and if that happens, God help us. As the mother of a woman who had an abortion, this decision has a lasting, devastating, effect on more than just the woman who had the procedure. My daughter died 3 years ago and to this day her decision haunts me. Support legislation like Louisiana and Arizona. Embryos are people not property. Support the Heartbeat bill now introduced in 21 states. Help to educate the public to make abortion unthinkable. Hold a press conference at Planned Parenthood’s National HQ 1225 4th St NE less than a mile from Heritage. Support defunding PP. Push for disclosure and transparency in DC. There are no rules and no record keeping. It’s your neighborhood and Congress controls the budget. Since specific words can have an effect, either positive or negative, on the general population, I am in favor of dropping the descriptive name of “pro-choice” for the barbaric practice of abortion and replace it with “pro-death” which is the perfect and realistic description. Call it what it is and cease the political correctness lie! In any case, unless a tubal pregnancy where the mother’s life is in real danger the mother should carry the child until it can survive outside of the womb. There are thousands upon thousands of parents desperate to adopt a child and would not only welcome such an opportunity, they would pay for it. As far as Heritage’s approach to dealing with this issue the approach should be where allowing such practices would end…i.e. children to a certain age that might have something detected post birth such as autism or another disability that wasn’t detected at birth, then it would move to “troubled” children, then to the elderly who can no longer “contribute” to society…do we see a pattern emerging here? This is the end of a very Marxist strategy….and let’s think about it…if the elderly are at some point deemed no longer useful….most of the current Government would be going for that last shower, giving up their clothing, jewelry etc. and bussed off to the gas chamber. The word abortion sounds as if we’re refering to a failed Nasa mission, instead of creation of life. Terminology in these heinous bills is so benign sounding. Let us agree to use accurate descriptions: killing, murder. Let us also agree to assign personal responsibility to those involved. How is it that birth control is being handed out on taxpayer’s dime, yet ‘individuals’ somehow ‘find themselves pregnant’. Girls and women need to understand the truly awesome gift of being able to bring life to this world. Doctors need to remember: 1. First do no harm. 2. You were once an innocent baby, too. Life begins at conception. Period. At the very least, these murders called abortions should be banned when a heartbeat is audible. And the “mother” should have to hear it. Life begins in the womb. Time for some of these illiterates to go back to school and take a basis science course, Murder is murder! I could not agree more with the comments made by Nancy, Scott and John. I will not repeat them, for I stand with them firmly. The murder of a baby – no matter at what stage of development – cannot be called by any other term. It is murder! I add only the perspective of the other party responsible for this continuation (not beginning!) of life – the father! Many may be indifferent, but there are some who would be delighted to raise his child! Surely those daddies can stand up for their little ones! 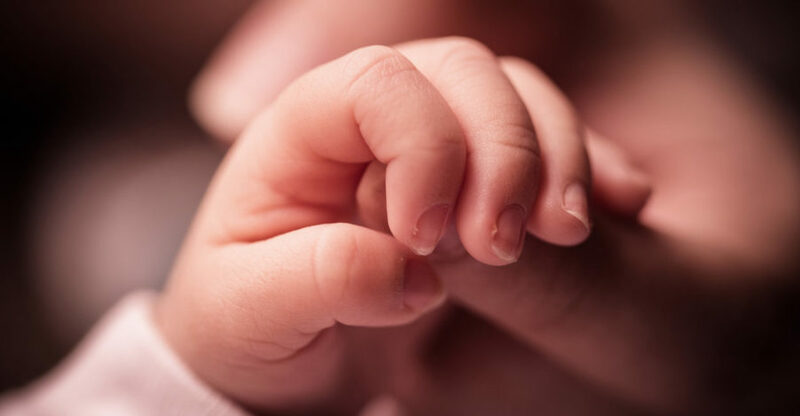 One major item that is apparently rarely mentioned to girls or ladies seeking an abortion is that there is a waiting list of between 2 and 7 years for a couple to adopt a newborn baby. The waiting list to adopt babies with problems such as Down Syndrome etc. is about 6 months. Adopting parents will, in some cases, pay the mother for the hospital care and even more.. Killing a baby is murder and is selfish as it takes a baby away from a loving home. . The same infanticide bill is in the process of being passed by the democrat abortionists in New Mexico. Kindly advise why my post was pulled. I would like to know so I do not make the same mistake again. Your post wasn’t removed. The computer system pulls some comments aside for us to approve. We approve almost all comments, so long as there is no profanity, or they are not spam. Thank you for supporting the Heritage Foundation! I guess I don’t have an answer, I just can’t believe a person any person could treat another life like this. It makes us no better than animals in the wild, in fact worse than some of them. How do you talk to someone of this mindset? In my mind they aren’t human in fact I don’t know what to call them, perhaps sub-human, non-human. May the Lord have mercy on their souls. Regardless of which side of the abortion debate people are on, there has always been an undisputed red line – i.e. birth – that defines “personhood”. The unimaginable has happened and that red line has now shifted to exclude newborn babies from the definition of “persons”. God help us all — I fear for the future of my country!! If it becomes legal to kill a born-alive human baby, then it must be legal for all other humans to kill whomever they wish. They are a “living” soul just as any young child, adult, or elderly! We must protect all babies in and out of the womb. Please continue to work toward elimination of abortion completely. It is all murder after the moment of conception. This legislation should be entirely unnecessary as abortion should not be happening at all in our country established as one nation under God. God loves every child and every child has the God given right to life. i question the mental health of the abortionists from a shocking video I saw of a Christian interviewing one. I am scared for the women/girls safety of any of them going under the precedure with a doctor of this mindset. It is at least 2 lives being crushed. ALL BABIES ARE INNOCENT AND SHOULD BE PROTECTED WHETHER BORN OR UNBORN. ACCORDING TO GOD. In Proverbs 6:16-19 we can read of the seven things that are an abomination unto God? If America doesn’t stop disobeying God’s Laws we will be in BIG trouble! Just take a look at what happened to the nation of Israel in the Old Testament when it turned away from God! Following the left’s lead, the death penalty should be called pro choice, or a late term abortion. The recent laws that allow a baby to die is like Auschwitz in the 40s. They separate the baby’s from the mothers and let them die. The only difference, those mothers wanted their babies. Who are the war criminals now? Babies are human from conception and must have all the rights established by the constitution.